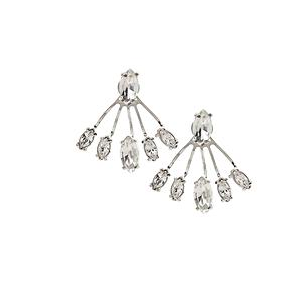 The latest trend in earrings: the ear jacket. Seriously. I think it's more wearable than the ear cuff but a bit more unexpected than your normal stud earring. 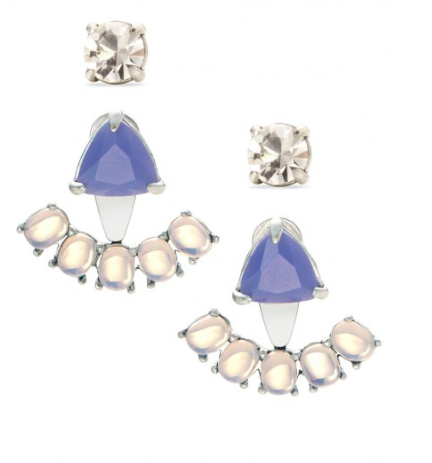 The ear jacket is part stud and part drop earring. 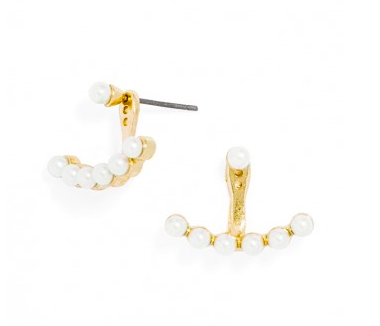 Step up your normal pearls for these whimsical accessories. 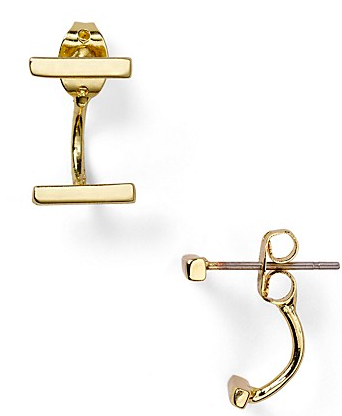 You can also vary the length of the earring with adjustable holes for the stud. A little door knocker and a little hoop. This is going to look great with a suit. Got a special occasion or an LBD that need a boost? These babies. Elegant and interesting. I saved my favorite for last. These have four different way to wear them. Wear just the studs, switch out the stud and just enjoy the compliments. I'm loving this trend. I think it's different without being isolating to us 9-5 folks.